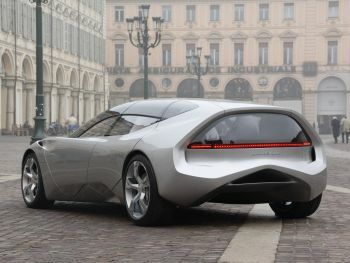 At the Geneva Motor Show this spring Pininfarina unveiled the Sintesi concept car study which looks at innovations in future transport requirements. The Board of Directors of Pininfarina S.p.A., meeting earlier this week under the chairmanship of Paolo Pininfarina, approved the Report on the Group’s Operations in the First Half of 2008. Despite a decrease in production value, the data for the first six months of 2008 show a sharp increase in EBITDA compared with the same period last year and a substantial reduction in the amount of the operating loss. Moreover, the ratio of EBITDA to production value improved to 5.5% at June 30, 2008, showing that the Group is achieving the operating profitability targets it announced to the financial markets a few months ago, when it presented its industrial and financial plan. In the first half of 2008, production value totalled 345.2 million euros, or 8.8% less than in the same period last year (378.3 million euros). The main reasons for the decrease of 33.1 million euros are a shortfall in cars invoiced (-791) compared with the first six months of 2007 and differences caused by changes in the mix of installed equipment and price adjustments. In the first half of 2008, EBITDA (which represent the profit or loss from operations before depreciation, amortization and additions to provisions) were positive by 19.1 million euros, more than double the 9.0 million euros reported at June 30, 2007. This improvement was made possible in part by a net gain of 3.8 million euros on the sale of property, plant and equipment and a reduction of 6.3 million euros in operating expenses, achieved in keeping with the stated objectives of the industrial and financial plan. The data presented above show that the steady improvement that began during the first three months of 2008 is continuing. In the second quarter of the year, the Group earned EBITDA of 14.7 million euros, up from 4.4 million euros in the first three months of the year (the amounts for the corresponding periods in 2007 were a negative 2.6 million euros and a positive 11.6 million euros, respectively). EBIT (which represent the profit or loss from operations) were negative by 6.9 million euros, but the loss was slightly more than half the negative amount of 13.5 million euros reported at June 30, 2007. EBIT for the second quarter of 2008, while still negative by 1.1 million euros, show that the Group’s operating performance continued to improve compared with the first three months of the year, when the loss amounted to 5.8 million euros (in the first and second quarter of 2007, the Group lost 11.4 million euros and 2.1 million euros, respectively). The net loss for the first half of 2008 totalled 14.1 million euros, a significantly smaller amount than the 21.2 million euros lost in the same period a year ago. The net financial position was negative by 198.1 million euros, showing a marked improvement compared with March 31, 2008, when it was negative by 235 million euros (-185.5 million euros at December 31, 2007 and -88.3 million euros at June 30, 2007). The increase of 12.7 million euros in indebtedness compared with the end of 2007 is due mainly to changes in working capital requirements and the impact of marking to market at June 30, 2008 financial assets held under asset management arrangements. A review of the data by business segment shows that the production value of the manufacturing operations amounted 274.6 million euros, or 11.5% less than in the first half of 2007 (a total of 15,502 car were invoiced in Italy, 791 fewer than a year earlier). As a result, EBIT were negative by 10.9 million euros, but the loss was 31.4% smaller than at June 30, 2007, when it amounted to 15.9 million euros. In Sweden, Pininfarina Sverige A.B. sold 8,301 Volvo C70 automobiles, a decrease of 21% compared with the 10,511 units shipped in the first six months of 2007. Lower sales in the North American market caused by the weakness of the U.S. dollar versus the euro account for most of this decrease. Nevertheless, the contribution provided by the Swedish joint venture to the Group’s income statement was extremely positive, increasing from 1.5 million euros in the first half of 2007 to 2.9 million euros in the same period this year. The service operations reported a production value totalling 70.6 million euros, compared with 68.1 million euros at June 30, 2007 (+3.7%). EBIT were up sharply, rising to 4 million euros, or 66.7% more than the 2.4 million euros reported at June 30, 2007. Higher margins earned on the order portfolio and the portion attributable to these operations of the reduction in overhead account for this improvement. - On June 25, 2008, the Company and Fortis Bank signed an agreement settling a dispute that began on March 28, 2008, when the Company was notified the first of two provisionally enforceable injunctions that Fortis Bank was awarded by the Court of Milan. Among other provisions, the abovementioned agreement calls for a moratorium on the payments owed by Pininfarina and the definition of a plan to repay the loan owed to Fortis, with Pininfarina waiving all claims and actions in the proceedings filed to challenge injunctions No. 8152/2008 and No. 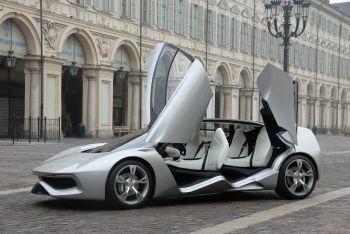 10171/2008, which the Court of Milan issued on March 18, 2008 and April 8, 2008, respectively, against Pininfarina for Fortis’ benefit. With two orders issued on July 10, 2008 and July 3, 2008, respectively, the Court of Milan dismissed both actions. Under the abovementioned agreement, Fortis Bank will align itself (in terms of number of instalments and their due dates, interest rate and the total amount of each instalment) with the terms of a future general rescheduling/refinancing agreement, if such an agreement is executed by September 30, 2008. Otherwise, Fortis Bank shall have the rights, but not the obligation, to comply with the overall rescheduling/refinancing structure. If Fortis Bank chooses not to adopt the rescheduling/refinancing method defined with all of the other lender institutions, the bilateral agreement calls for: an early repayment of 3 million euros on September 30, 2008, the rescheduling of the remaining indebtedness (about 41.9 million euros) in 14 instalments — the first and last instalments being due on December 31, 2008 and December 31, 2015, respectively — at the rates applied to the original contracts (six-month Euribor + a spread of 90 basis points on the medium- and long-term facility of 35 million euros and the EONIA monthly average + 45 basis points on the old short-term facility of about 7 million euros). - On August 1, 2008, in order to facilitate the signing of a rescheduling/refinancing agreement within the required deadline, all parties (the Company and the lender institutions) executed a Standstill Agreement that formally acknowledges the existing moratorium on the repayment of principal amounts and extends it to September 30, 2008. The Standstill Agreement was signed in preparation for the agreement to restructure the debt exposure of Pininfarina S.p.A., which is currently being negotiated. It will be in effect until September 30, 2008 or the date when the abovementioned debt restructuring agreement is signed, whichever comes first. 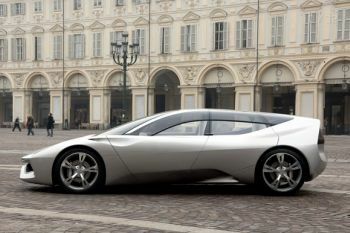 All of the lender institutions signed this agreement, with the exception of Fortis Bank, which signed a separate agreement with Pininfarina on June 25, 2008. - Also on August 1, 2008, Pininfarina S.p.A. retained the services of BNP Paribas, UniCredit Group and Banca IMI (IntesaSanpaolo Group) for the purpose of promoting, as Joint Global Coordinators, the establishment of a consortium to guarantee the placement of the contributory capital increase that the Extraordinary Shareholders’ Meeting of April 29, 2008 authorized the Board of Directors to carry out. At present, the rights offering is tentatively scheduled for the fourth quarter of 2008. In addition to the obligation to secure the requisite authorizations, the share capital increase is subject and closely related to the signing of the abovementioned debt rescheduling/refinancing agreement, which is currently being negotiated. Despite the progress that is being made in the activities that are being carried out in connection with the share capital increase and the related debt rescheduling/refinancing process, it is still possible that, in the highly unlikely event that a debt rescheduling agreement cannot be reached, the Company’s viability could be at risk. Projections call for year-end consolidated production value to amount to about 560 million euros, or about 16% less than at December 31, 2007 (670 million euros). The shortfall compared to the earlier projection (amount about 10% higher than the 2007 production value) is due mainly to conditions in the European and global automotive market, which are characterized by generally weak sales to end customers. The current projection calls for production orders in the second half to decrease by about 30% compared with earlier estimates. EBITDA are expected to remain positive, in line with the guidance provided on multiple occasions (an amount greater than 5% of production value), but EBIT will still be negative. The net financial position should hold relatively steady compared with the data at December 31, 2007, reflecting the impact of the transactions scheduled as part of the financial plan. The actual amount will be affected by the debt rescheduling agreement that is being negotiated with the lender banks and by the timing and modalities of the related share capital increase.